Oh my goodness! I don't know how you do it! I seriously have to bow down to you all for doing this whole waking up early and going to school all day routine. 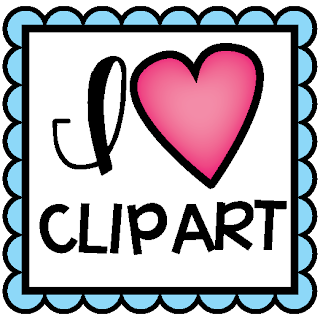 Then when you add in blogging, creating TPT products and all that jazz, you are super teachers! I seriously couldn't be any more exhausted from being in the classroom all day every day! After the first day, I fell asleep on the couch watching TV at 6pm. Definitely not too early for a bed time anymore in my book! Thanks for hosting once again Kacey! I have been looking forward to it all week! 1. Field trips are definitely one of the most tiring experiences ever! None of those kids wanted to nap on the bus ride home but I sure did! 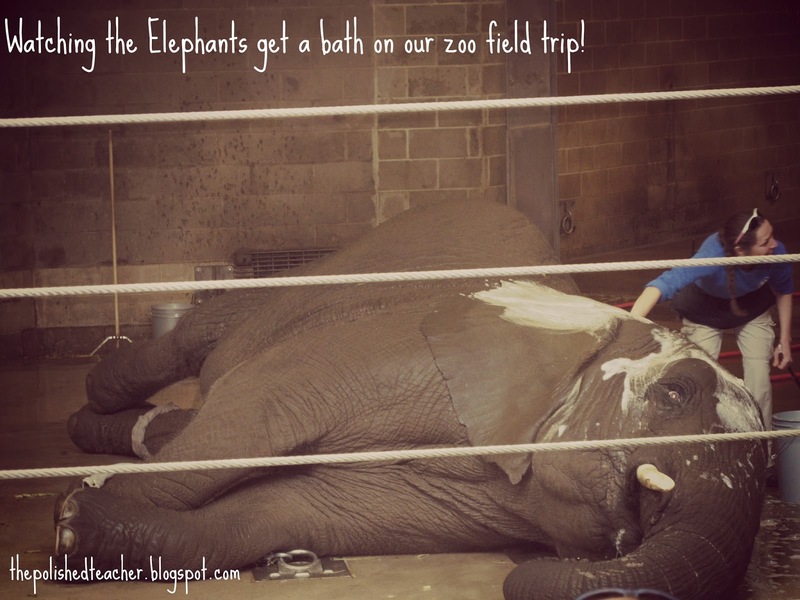 Highlight of the trip: watching the elephants get bathed! 2. 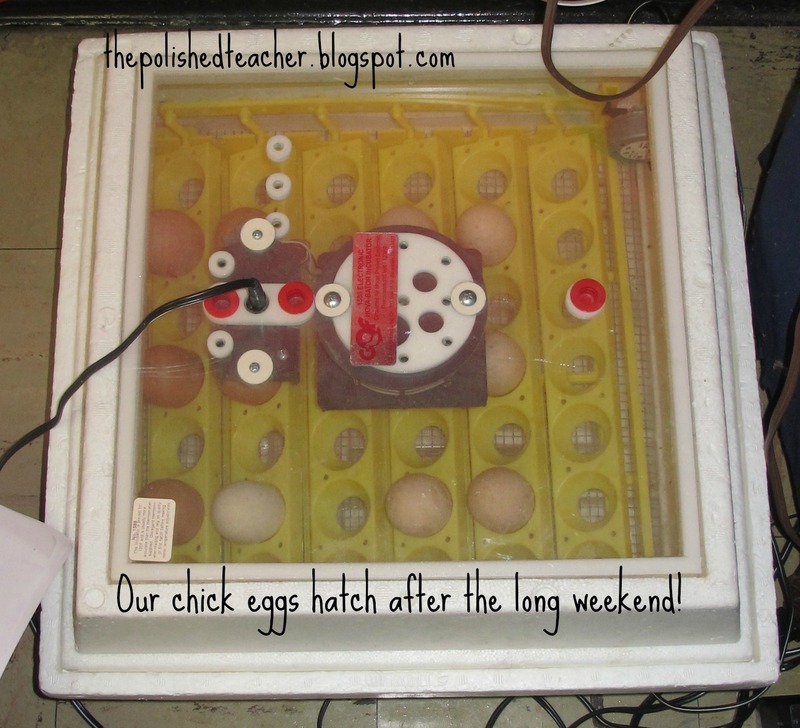 Hatching chicks is by far the class favorite Springtime activity! When they get back after the long weekend, there should be hatching going on! So sad I won't be there to see them hatch! 3. Practicing our sight words from our sight word sticker books! This is such a wonderful activity for the children and they work so hard to master those words! 4. This tens frame paddle seriously changed my life. If you don't have it yet, stop what you are doing and immediately order it. You won't know what you ever did without it! 5. Good byes are always the hardest part! I just fell in love with the sweet little kinders that I worked with! I will miss them so much! I can't wait to see them again in September when they are big 1st graders! 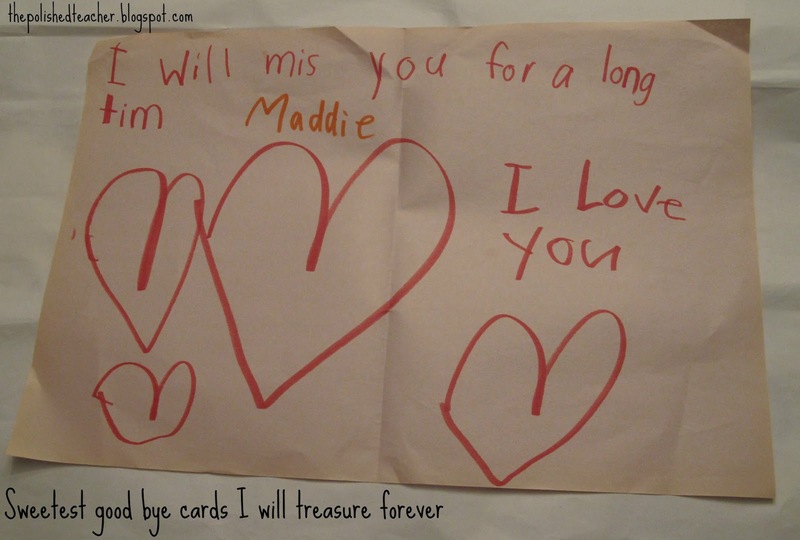 I truly had the best time in kindergarten with both the kiddos and my cooperating teacher! I cannot wait until September for student teaching. It is going to be the most exhausting but for sure the best experience of my life! Have a wonderful long weekend! I know I am going to try and recover from this supreme exhaustion and get some much needed rest! It's already way past my bedtime! 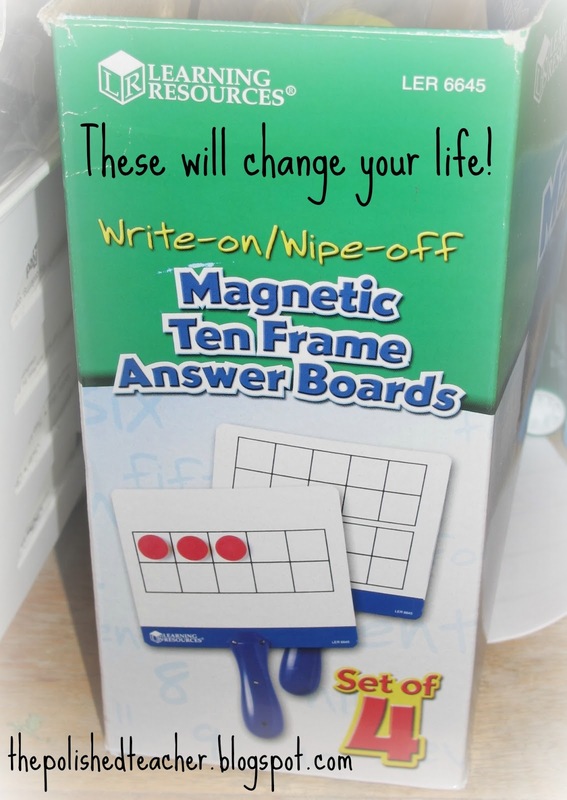 Love the idea of magnetic tens frames... how do you use them in class? Found you through Doodle Bugs! Love the magnetic ten frame boards. I love the love notes! Save them! Cute blog! LOVING THOSE and ordering them this weekend! Thanks for sharing and have a fabulous Memorial Day! 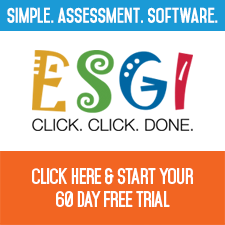 Congrats on your exciting week! 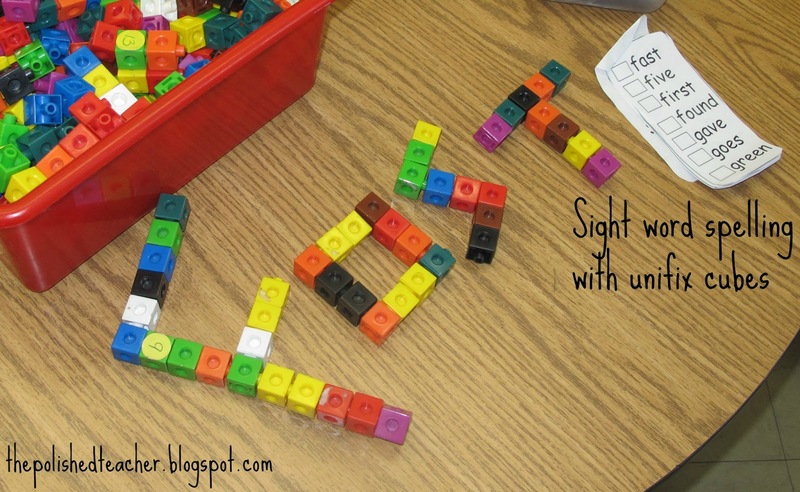 I never thought of having students spell words with the unifix cubes. I teach 2nd and I come home on Friday nights and go to bed by eight!